There are times I have seen that people are not kind. That is the easiest to be. Isn’t it? There are times when I have found myself not that kind and I have wondered: Why? Why was there a need to be rude or mean to someone? Just because someone was the way he or she was, did that mean that I had to become like this? Was it necessary? It is not about being mister goody-two-shoes either. It is just about kindness and “Wonder” by R.J. Palacio is all about that. I had that book lying around with me for the longest time. I think for about a year and a half and I did not read it. I then moved to Bangalore and thank God for P, who spoke of the book and sent me a review copy, I finally read it and all I could do after that and during the read, was call her, text her and keep telling her how I felt. We talked a lot about the book and somehow, it just felt so good. 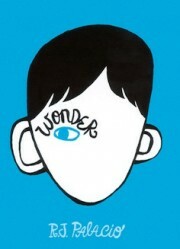 “Wonder” is probably one of the best reads for me this year. I take it back. Not probably. Definitely so. “Wonder” by Palacio is about August (Auggie) Pullman. A ten-year old boy. But Auggie is not your regular ten-year old boy. He is deformed beyond belief with surgeries and their scars that run across his face. He is something which you and I cannot even imagine and yet he is perfectly normal like any other child. Just that the world doesn’t see what his parents and sister see in him. He is truly a wonder and that you will come to see as you go along the book. So Auggie’s parents decide that it is time for him to face the world that is to go to middle school and from there on Auggie’s life takes a very different turn. The book is about that one year of school and what happens thereafter to the boy who was born different. The book is told by various perspectives. From Auggie’s to that of his sister Via’s (Olivia), his friend Jack, his sister’s friend Miranda, Olivia’s boyfriend Justin, and to Auggie’s friend Summer. All their perspectives have Auggie in it. This book is all about kindness and where it can find you, sometimes even in places, where you least expect it. “Wonder” had me hooting for Auggie, like I have for no other character in fiction in a very long time. I also choked and cried in many places. It is not that Palacio has written an extremely melodramatic novel. It is just that sometimes, as a reader, as I could see myself in Auggie and in other characters in very different or similar ways and that shook me up. It is all about kindness and how far are we willing to go to accept the ones who are different. I think it all comes down to this in the world – acceptance and kindness and sometimes we just forget about them and I do not know why. “Wonder” is just about life and the way we choose to live it. It is about a ten-year old who at times does not want to be what he is, but also knows that he has to live with what he is. It is about friendship and all the love that is there. It is funny and also sad. It is the book which will have you in tears at one point or the other and if you aren’t in tears, then perhaps you need to get your emotional quotient checked. This entry was posted in Books, Corgi Books, random house, Review, Young Adults and tagged belonging, Corgi Books, literary fiction, R.J. Palacio, random house, teenage fiction, Wonder on June 20, 2014 by thehungryreader.